Me and My Doctor: What U.S. Cities Are Most at Risk for a Zika Outbreak? What U.S. Cities Are Most at Risk for a Zika Outbreak? Spring is just around the corner, and the threat of Zika looms large as the temperatures increase. That’s because mosquitoes, including the Aedes aegypti mosquito that transmits the Zika virus, thrive in warmer climates, like the southern half of the United States. But no one has contracted the disease through a mosquito inside the contiguous United States — yet. This is known as “local transmission.” The 193 cases of Zika reported within the country developed either because people traveled outside the contiguous United States to Latin America or the Caribbean (and presumably got bit by a Zika-carrying mosquito), or through sexual contact with an infected person. However, research published in PLOS Currents: Outbreaks warns the risk for local Zika transmission is rising as we head into spring. 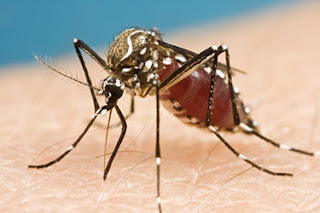 Researchers anticipate eventually an Aedes aegypti mosquito in the United States will become a Zika carrier and bite someone to spread the disease. Imagine this: Someone infected with Zika will come to the United States and get bitten by this mosquito, making it a Zika carrier. It then bites someone else — spreading Zika via local transmission to that person. The more people traveling here from Zika-prominent countries, and the greater the concentration of this particular mosquito, the bigger the potential hot-spot for Zika to spread. The study looked at meteorological and societal trends to simulate the potential spread of the Aedes aegypti mosquito for 50 cities within or near the margins of its known U.S. range, which stretches as far north as New York City. Included in the list of 50 cities are the Texas cities of Brownsville, Dallas, El Paso, Houston, Laredo, Midland, and San Antonio. The recorded geographic range for the Aedes aegypti from 1960 to 2014. So which cities are in the most danger? Researchers determined June-September are our riskiest months for a Zika pandemic, given the estimated abundance of Aedes aegypti mosquitoes in the United States during those periods. Florida cities are at highest risk for local Zika transmission — Miami’s risk never drops lower than “moderate to high,” even in December. Texas’ most vulnerable cities are Brownsville and Houston — Houston given its large volume of plane passengers, and Brownsville given its higher poverty rate and proximity to Mexico, a country with recorded local Zika transmission. The image below gives a detailed, month-to-month look at the potential abundance of Aedes aegypti mosquitoes for each city. To lower your own risk of contracting the Zika virus, physicians encourage wearing long sleeves and pants; applying mosquito repellant with DEET when outside; and working with your community to remove areas with standing water, such as in trash cans, littered bottles, and elsewhere. Read the full study at PLOS Currents: Outbreaks.